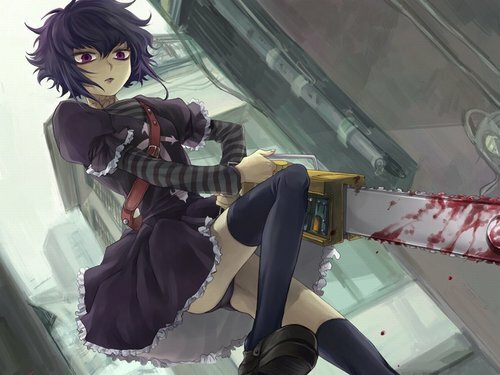 bloody chainsaw girl. . HD Wallpaper and background images in the anime club tagged: sawyer black lagoon blood chainsaw girl. i like bloody anime girls but her face is looking very stupied.